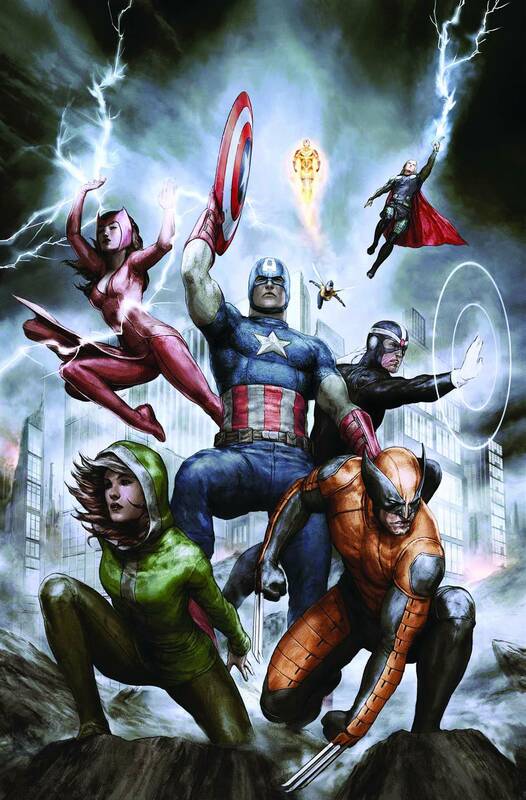 After more than a year long ride of non-stop action, Uncanny Avengers takes an issue to slow down the pace and transition itself into towards Axis, the next big event from Marvel. The name of this issue is “Let’s Get Well”, and this is a team in serious need of some down time after the events of Avenge the Earth. While the book absolutely was in need of a breather issue, the results here are mostly good. Uncanny Avengers has always felt like it was it’s own thing, separate from the rest of the Marvel Universe, but with this issue we see the team catch up with the rest of the books. After a few weeks apart the team meets up with Old Captain America who makes his first appearance here and Wolverine flat out says to another character when referencing his mortality and sanity, “I always survive”. A little bit of foreshadowing there Marvel? Much of this issue is from The Wasp’s point of view. We really didn’t get any time to actually explore her relationship with Havok while the last story line was going on. Now, after their child has been to Kang, this issue tried to hammer home the notion of them actually being a couple. It works. I’ve said before my guilty pleasure is comic book romances, so it was nice to see Remender take the time to focus on that. Perhaps all is not lost there for them, that thread left hanging has me interested for sure. I like the way Wanda is being portrayed here. She seems to be stepping up into a leadership role. If the rumors of what will pass in Axis are true, this could possibly be the start. Much less interesting was what’s happening with Rogue. With Wonderman trapped in her head, this issue pushes the old “DON’T TOUCH ME” version of Rogue, which I could really do without. She’s evolved and grown over the years and especially in this series. I would hate to see her revert to an out of control character. I do really enjoy seeing her and Wanda interact though. The art from Sanford Greene is a good change of pace from Daniel Acuña. After the big epic tale being drawn by Acuña, it’s nice to have a more grounded approach to the breather issue. I wasn’t previously familiar with Greene’s work so this was a good introduction to it. I like the way he draws faces. It seems he puts his own little spin on some of the characters like Janet and especially with Logan. I can’t remember anyone else drawing Logan looking like that but it felt right. I wouldn’t mind seeing more of Greene in other books. Buy it. Breather issues are tricky to recommend at times. Not much happens in this issue so it could be easy to say pass, but I did enjoy the issue. The story and art are good enough for me to encourage you to give it a read.